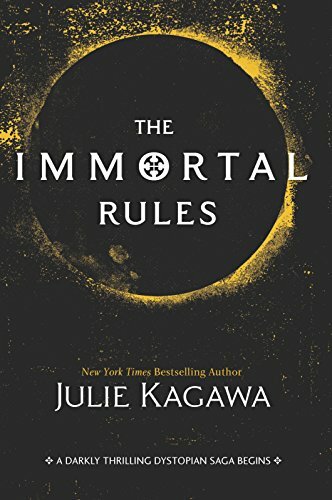 If you’re looking for a fantasy with a battle between two peoples who aren’t as different as they seem, betrayal, and magic, this book is for you! Maia, the main character, is a member of a race of magic-wielders who are continually hunted because they are different and therefore dangerous. Breathtaking action, well-developed characters, and flawless POV changes; what more could a bookworm need? 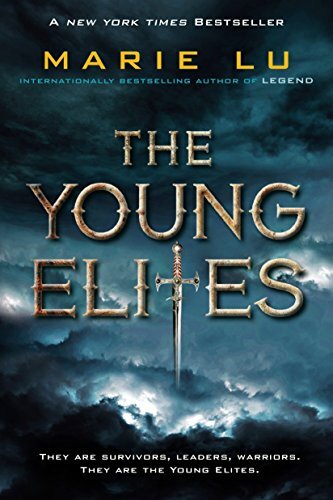 If you’re looking for a little more darkness in your diet, The Young Elites will hit the spot! The main character has a serious case of anti-heroine and nothing is as it seems. The book takes place in a kingdom where the aftereffects of a recent plague are felt through unexpected otherworldly powers manifesting themselves in the surviving children. They are both hunted and worshiped and the main character, Adelina, is stuck in the middle of the fight. This book excels in bring the term ‘morally gray’ to life! This book is the perfect introduction to fantasy if you’re looking to just dip a toe in the pool (besides Harry Potter, of course!). It’s a light fantasy, set in our current world with the addition of some of the more fantastical elements (think fluffy white wings). The main character, Violet, finds out some very startling truths about her family and herself on her 17th birthday and is essentially thrown into an otherworldly war. There’s an abundance of action, danger, romance, and angels! Looking for a loose Beauty and the Beast retelling? And maybe even some extra fantasy and world development thrown in? This is the book for you! 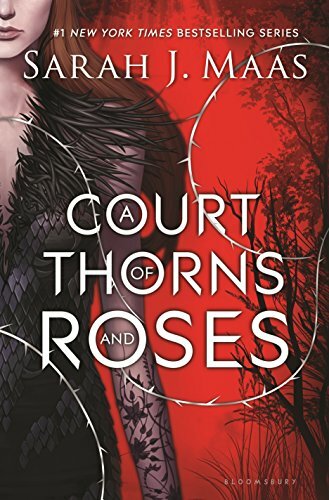 Feyre, the main character, is immersed in a world she has been trained to hate and learns it isn’t quite the nightmare she was taught to believe. She is introduced to a an twisted villain and everything goes downhill from there. There’s no shortage of lovely world-building, romance, and action! This is a very unique book. 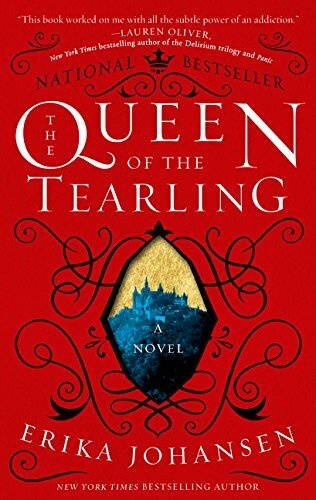 Bordering on high fantasy, The Queen of the Tearling details a new monarchy that is experiencing some troubling problems. This book also has a slight science fictiony feel as it supposedly takes place in our world in another dimension. There’s court politics, fighting, and romance in this book as well as an abundance of magic! 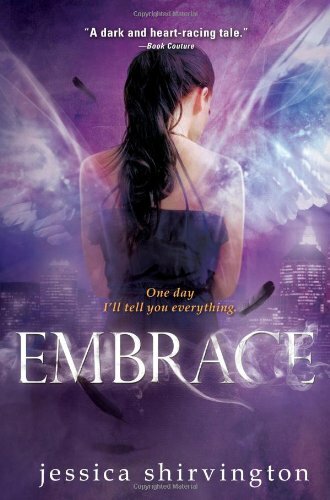 If you’re a vampire lover (or more generally, paranormal creatures), this book is for you! 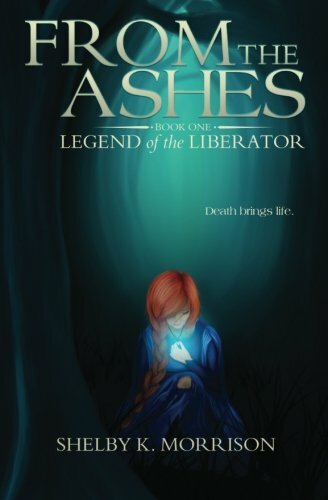 This is a light fantasy, set in our current world, with the addition of some paranormal creatures. The heroine, Ali, is raised to hate and fear the vampires that now govern humanity, until she is forced to become one herself to survive. Through exploring the themes of life, death, and morality, this book is a true onion! Read it for the blood-sucking living dead, or read it for the discussion it puts forth; the choice is yours! 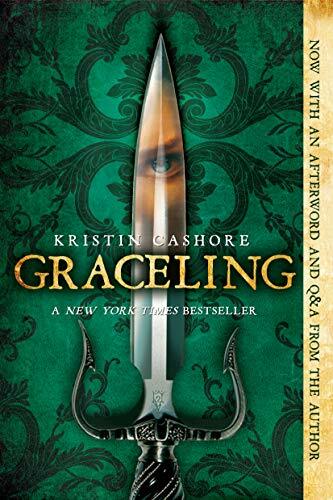 Graceling is the story of Katsa, a woman with special powers whose only outward indication is two differently colored eyes, thus indicating she is a Graceling. While most Graces are essentially useless (having a giraffe-like tongue or being able to turn one’s mouth inside out), Katsa’s Grace is killing, or so she is led to believe. The story is set in a world of seven kingdoms and there is danger afoot. Follow Katsa on her adventures in finding herself, and finding the true villain in a book filled with romance, breath-taking fighting, and court intrigue! This is the perfect mix of fantasy and historical fiction. If you’re a history lover, or even simply someone who enjoys a good past time setting, you’ll love this series. 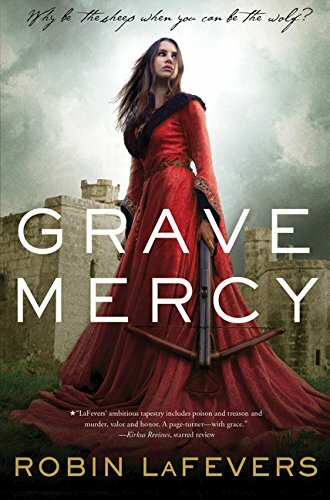 Grave Mercy and it’s fellow series members are set in the 15th century and chronicle the tales of Ismae, Sybella, and Annith, three of Death’s handmaidens. They are trained in a convent devoted to the god of Death, Mortain, and are trained in the grace of death (aka killing). Sent out as assassins and influencers of the court, many new revelations confound them. There are plenty of dangerous weapons, court intrigue, and romance in this historical series! 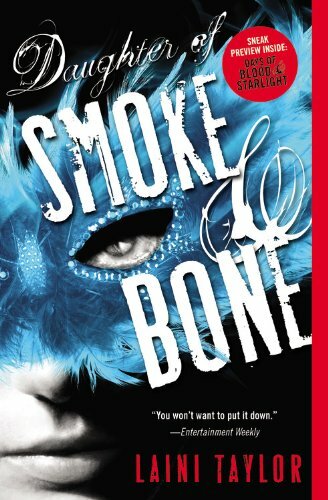 Daughter of Smoke & Bone is a perfect mix of light and high fantasy. Set in both our current world and a parallel universe, the story follows Karou, a teenager living in Prague with an unusual ancestry. She works for a monster who has raised her in the business of teeth collecting. For what purpose these teeth will serve, Karou doesn’t know which is the beginning of the mystery. This series follows her as she discovers who she is and where she came from with plenty of fantastical creatures and warfare in the mix. A true classic for any fantasy lover (or book lover for that matter). The Harry Potter series serve as a superb introduction to the world of fantasy and mythical beasts of all origins. There is everything from centaurs to warlocks, spells to magic mirrors. Set in our current world, the series centers around a young boy, Harry Potter, who has grown up to be a ‘normal’ boy. Little does he know that his deceased parents were not all his aunt and uncle led him to believe. 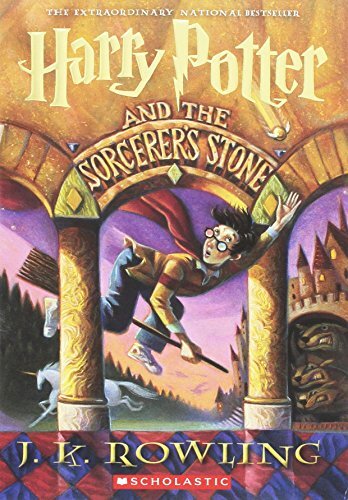 Filled with action, suspense, magic, and adventure, the Harry Potter series is not one to be skipped!